I want to communicate in Modbus RTU with the Robotiq FT300, but I can't. I am using a RS232 to RS485 adapter as I know your sensor communicates in RS485. 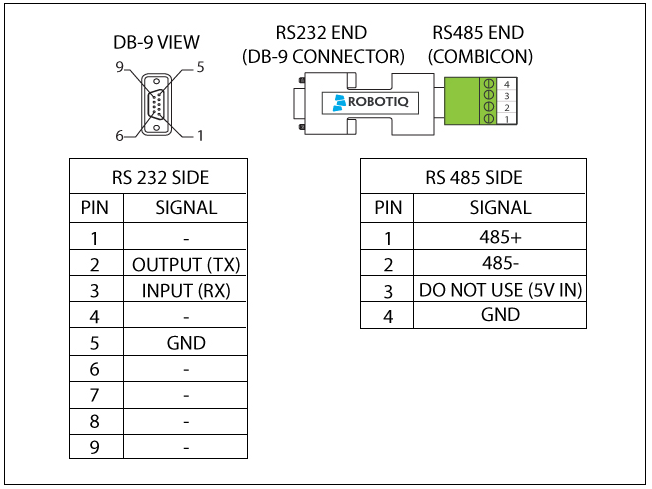 Are you using the Robotiq tested adapter? If not, this might be the problem as the pinout might not be correct. The simplest way to proceed would be to contact our application engineer and get the Robotiq tested adapter for this application. For more info on the wiring, you can get access to the support manual here. This was the problem... My converter wasn't setup properly. I'm also trying to do the same thing, trying to communicate with FT300 with Arduino using RS485 to RS232 adapter and then using RS232 to TTL converter. I not good at coding, so please can someone help me with the code to read the values on Arduino.